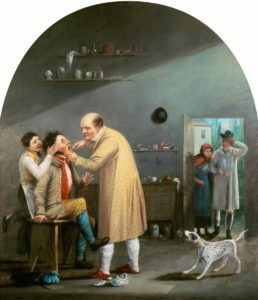 Academic and conference MC Dr Ruth De Souza contemplates the division between oral and general health, and recalls her own oral health adventures. I learned a lot about sugar from Jane Martin the Exective Manager of the Obesity Policy Coalition and Clinical Associate Professor Matthew Hopcraftan Australian dentist, public health academic and television cook. 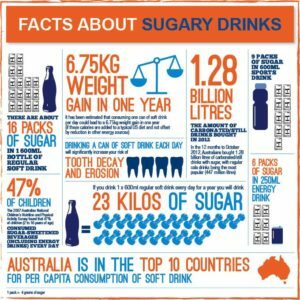 52% of Australians exceed the WHO recommendations for sugar intake, and half of our free sugars come from beverages. Sugar intake profoundly impacts cavities and our contemporary modes of industrial food production are to blame. We also need to challenge the subtle marketing of energy dense nutrient poor products eg the ubiquity of fizzy drink vending machines. To that end both Universities in the United States and health services worldwide (see NHS England) are taking the initiative to phase out the sale and promotion of sugary drinks at their sites. At the University of Sydney a group of students, researchers and academics are taking this step through the Sydney University Healthy Beverage Initiative. Check out this fabulous social marketing campaign with indigenous communities in Australia by Rethink Sugary Drink. Sugar-free Smiles advocate for public health policies and regulatory initiatives to reduce sugar consumption and improve the oral health of all Australians. There’s also the Sugar by halfcampaign. You can read more of Dr Ruth De Souza’s writing on her blog.